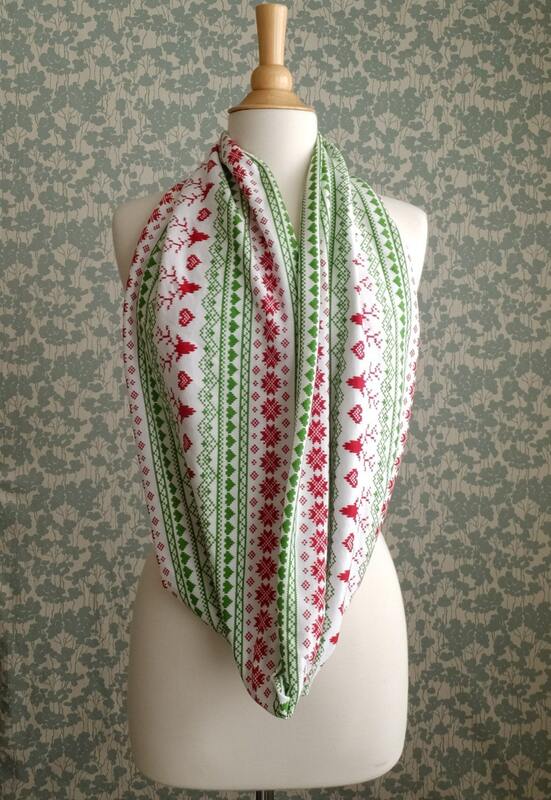 How adorable is this holiday fair Isle print scarf! 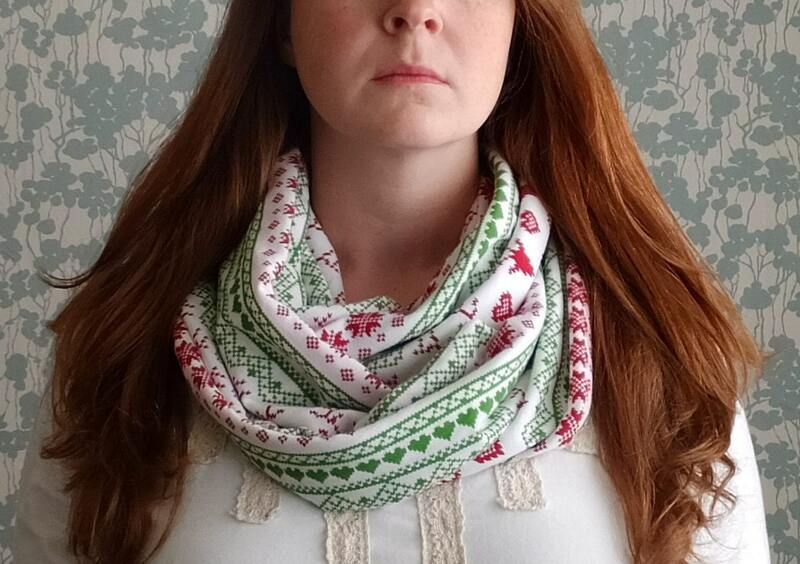 Faux sweater knit Deer and hearts in red and green printed on a white background. 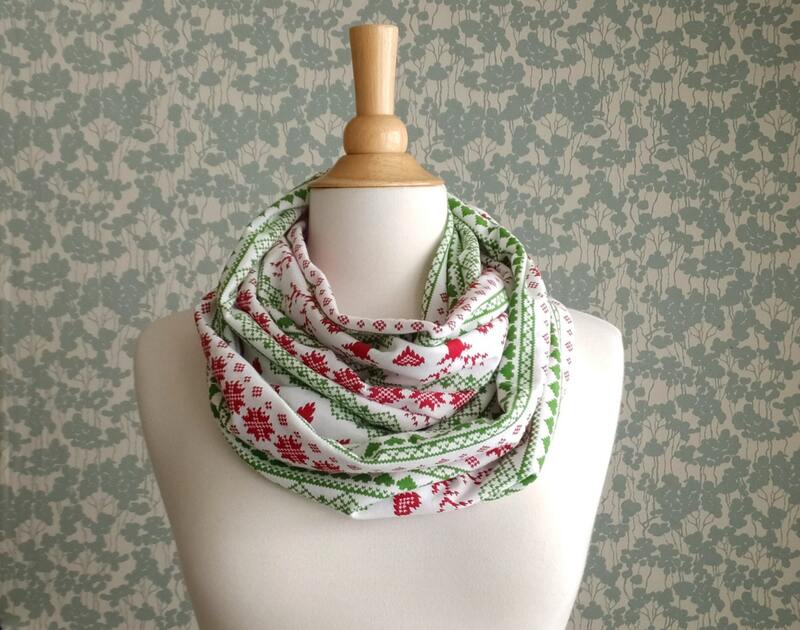 This Infinity scarf is made from a soft stretchy cotton jersey and sewn in a continuous loop, tube style, so that there are no raw edges. An easy accessory to toss on and add that little something extra to your wardrobe. 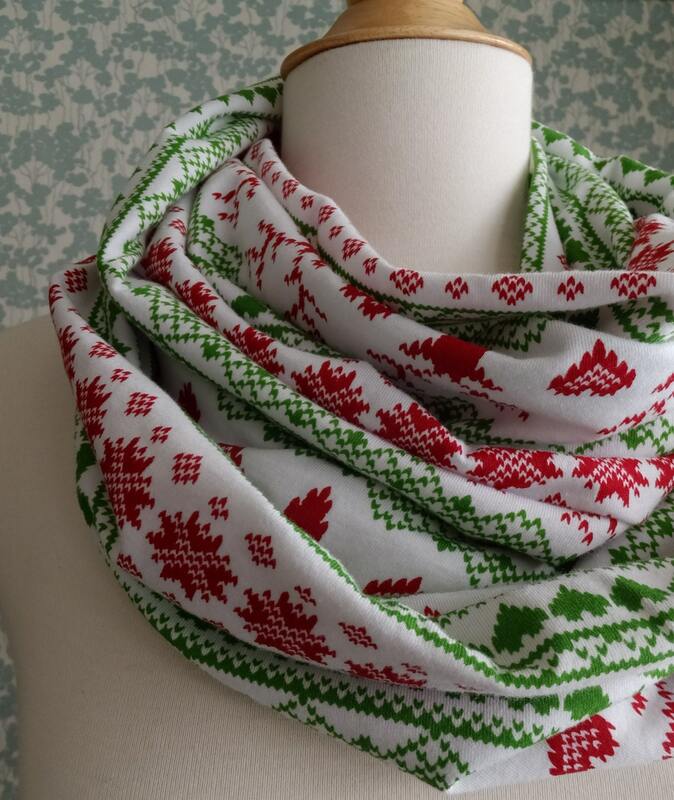 Wear it looped once around your neck for a long scarf or twice for the cowl look. *Great gift idea* ~ even the kiddos can wear them!